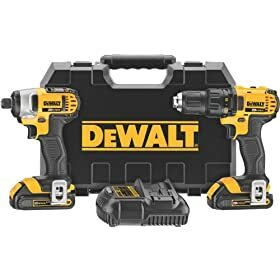 DEWALT’s DCK280C2 20-volt max lithium-ion compact 1.5 Ah drill and impact driver combo kit combines the fast performance of the DCD780 1/2-inch drill/driver and the compact power of the DCF885 1/4-inch impact driver to provide a well-rounded pair of tools that help everyone from steel stud framers and contractors to cabinetmakers and plumbers work their way through a variety of applications. 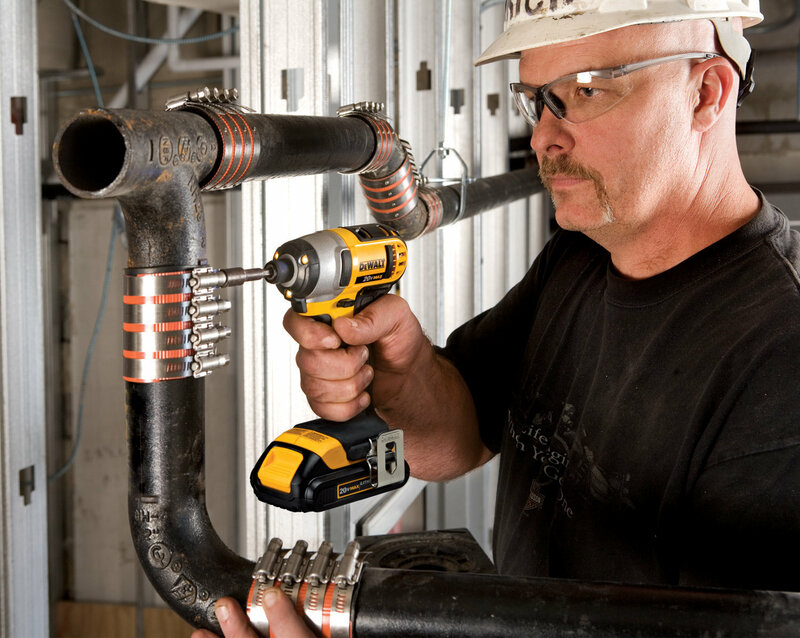 This kit's impact driver features a one-handed loading 1/4-inch hex chuck that accepts and holds 1-inch bit tips (view larger). 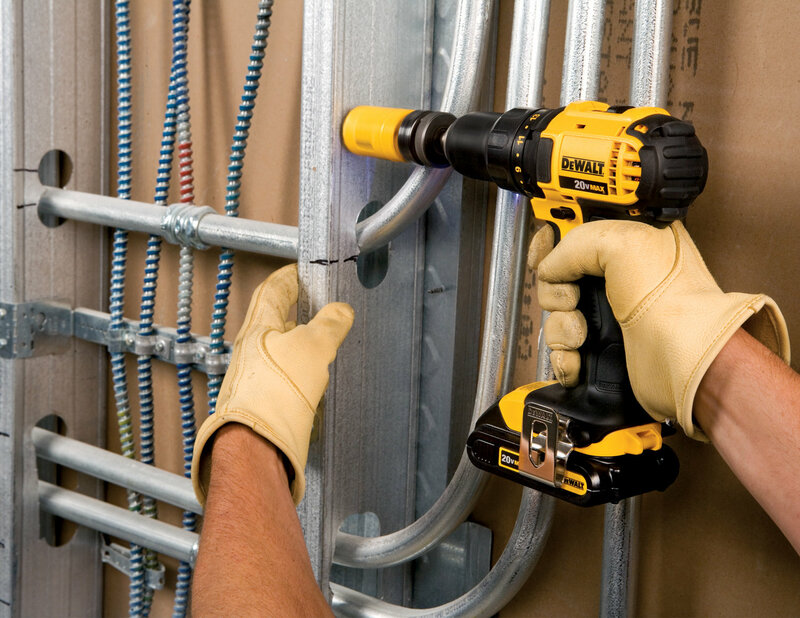 DEWALT has optimized both of these tools to withstand daily jobsite wear and tear. The compact drill/driver’s two-speed (0-600 RPM and 0-2,000 RPM) transmission allows users to select the appropriate speed for the task at hand and is up to 30 percent faster than current drill/drivers on the market. Its high-power, high-efficiency motor delivers 350 unit watts out of maximum power for superior performance in light and medium drilling applications. A 1/2-inch ratcheting chuck with carbide inserts provides superior bit-gripping strength—reducing slippage during high-torque applications—thus providing longer tool life. 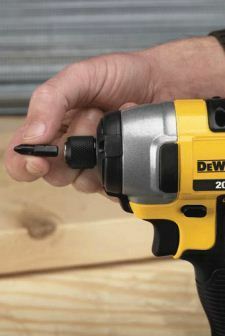 Plus, DEWALT’s engineering and design team adjusted the drill/driver’s footprint and weight allocation for ideal balance and a lightweight feel, making the 3.4-pound tool easy to maneuver in tight areas. Meanwhile, the impact driver’s robust motor delivers 2,800 RPM—up to 43 percent faster than current impact drivers on the market. 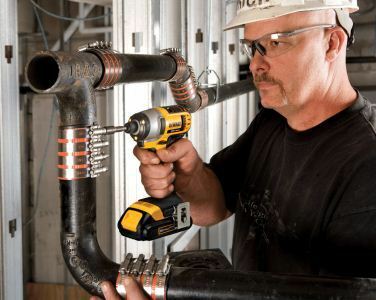 Its one-handed loading 1/4-inch hex chuck accepts and holds 1-inch bit tips for convenient fastening in tight spaces. Research shows that impact drivers are growing in popularity largely because of their smaller size and lack of kickback (or reactionary torque) thanks to the impact mechanism within the tool. 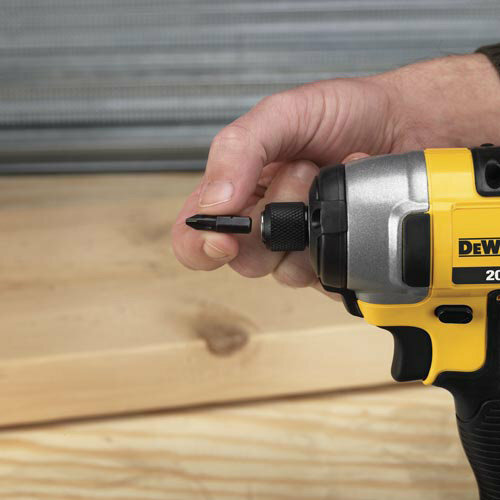 Combined with its 5.55-inch length and 2.8-pound weight, the compact impact driver packs a serious punch in a small package. DEWALT-designed electronics have been built into both tools’ switches to provide maximum life for the tools and batteries by helping to protect them from overheating, overloading, and deep discharge during use. 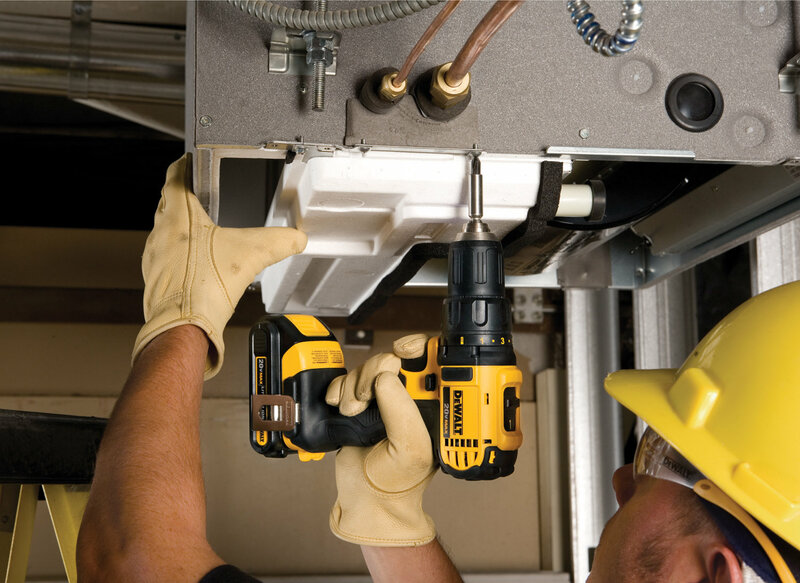 The- 20-volt’s lithium-ion batteries provide up to 35 percent more runtime than existing 18-volt lithium-ion battery technology, and the included Energy Star-qualified charger has dual voltage capabilities and it is compatible with both 12-volt max and 20-volt max DEWALT lithium-ion batteries. The tools’ slim handles fit easily into users’ hands, increasing the level of comfort during the course of long jobs, and the bright built-in LED work lights above the triggers have a 20-second delay that improves visibility in dimly lit spaces. One DEWALT DCK280C2 20-volt max lithium-ion compact 1.5 Ah drill and impact driver combo kit, including the 1/2-inch drill/driver and 1/4-inch impact driver, two 20-volt max 1.5 Ah lithium-ion batteries, one 30-minute Energy Star-rated charger, one bit tip holder, two belt hooks, and one hard plastic storage and carrying case.